Dr. Michael O’Neil is a leading provider of Cosmetic General Dentistry. 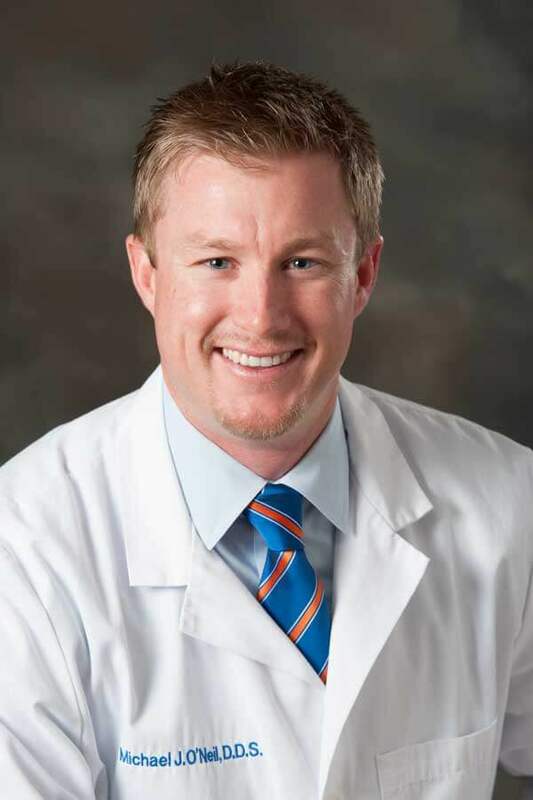 Dr. O’Neil, a native of West Bradenton who attended Manatee High School, completed his undergraduate study at the University of Florida where he received his BS is Microbiology and Cell Science. He completed his Doctor of Dental Surgery degree at the prestigious New York University College of Dentistry. After dental school, Dr. O’Neil continued his dental training by completing an Advanced Education in General Dentistry residency at the University of California, Los Angeles. His goal is to provide patients with the latest evidence-based dental treatment in a warm and caring environment. Comprehensive dentistry involves a multidisciplinary approach in today’s overall health care arena. It is important for patients to find a highly qualified and knowledgable provider to help navigate their journey to better oral and general health. Dr. Michael J. O’Neil and his team are here for all your dental needs. Longboat Key Dental provides a wide range of services, patient amenities, and state-of-the-art treatment. Longboat Key Dental welcomes you and your family, and looks forward to a long and healthy partnership.